At least now you’ll be skinnier when you cry about all the home-buying money you squandered on avocado toast: A fruit company over in Spain has invented an actual diet avocado — all the Instagrammability, only 30 percent of the fat. 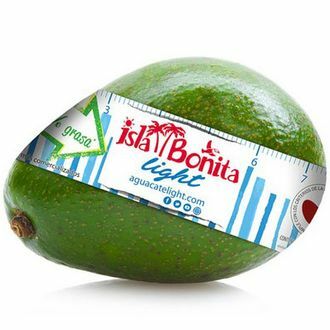 Made by Eurobanan’s Isla Bonita brand, the so-called Avocado Light is described as having a “mild” flavor and “juicier” pulp, and also ripening fast yet oxidizing — i.e., turning that disgusting shade of gray — much more slowly. This means it could theoretically outlast a full-fat conventional avocado. Knowing the fruit’s consumer base too well, Eurobanan is advertising the Avocado Light as “ideal for the preparation of smoothies, cold soup, gazpachos, cocktails,” and many other dishes “throughout the day.” Its official launch is later this month at a trade show in Madrid, but unfortunately for Americans already chomping at the bit, it won’t be in the produce section at their Trader Joe’s. Eurobanan only plans on selling it to Spaniards for the time being. Spanish heart-health advocates tested the fruit’s nutritional claims, and they’ve affixed a seal certifying that it does legitimately have almost one-third less fat. And because it’s a human-created Frankenfruit, it also grows nearly year-round. That said, of course, avocado fat is the type doctors always deem “good,” in that it’s monounsaturated and therefore helps lower bad cholesterol if eaten in moderation; plus, that fat is what makes it so delectable. Then again, however “diet” Avocado Lights taste, nothing ruins people on avocados — not the exorbitant cost, not putting lattes inside them, and not even the risk of losing a hand.